The Trust for Public Land and Belpre Township have protected the 67-acre Baker Farm property along the Little Hocking River in Little Hocking, Ohio. 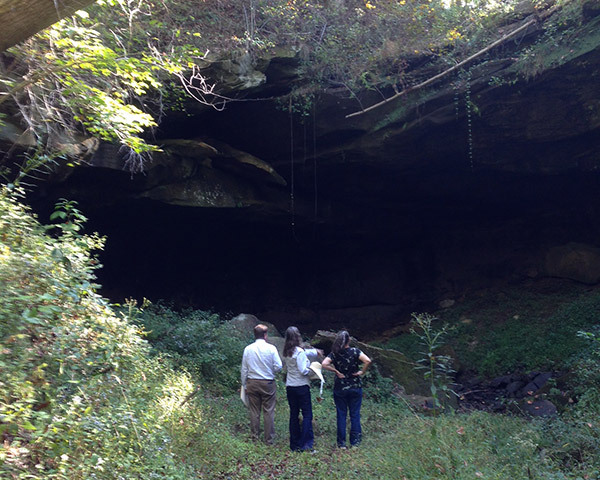 The property includes open fields, mature forests, a small stream, a cave, ponds, and approximately 800 feet of river access to the Little Hocking River. Owned by Oran Baker for decades, "Grandpa Baker" allowed informal public access and recreational use for fishing and other activities for years. With his passing, his children have worked to see his vision of the property as a community park realized. The property will become a new park owned and managed by Belpre Township, giving direct river access for fishing, canoeing, picnicking, and other recreational uses. Although located along the Ohio River, Belpre Township has very little access to its riverways, given the prevalence of high bluffs and industrial land uses. The new park creates a new community riverfront park, helping to alleviate this deficiency. Funding was provided by the Clean Ohio Fund Greenspace Conservation Program and a generous donation of land value by the Baker family.